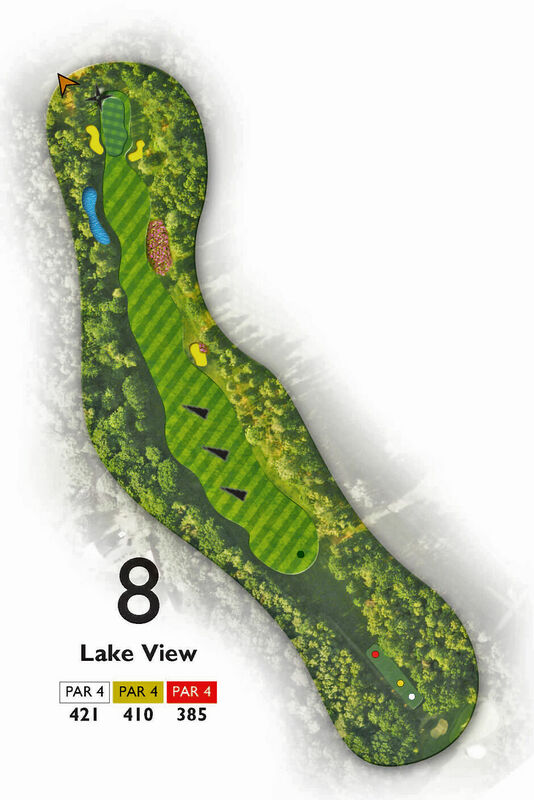 Lake View: A blind drive ideally played down the left half of the fairway with fade. Drawers of the ball should set up well left on the tee and skirt down the right side. A good drive opens up the green for a testing second that again suits a fade off the left half of the green.